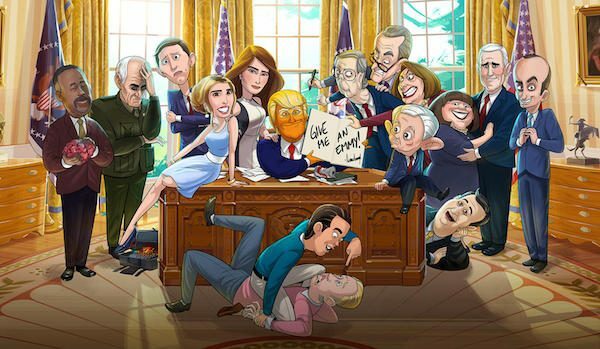 When CBS Studios set up animation studio Late Night Cartoons to produce 10 weekly episodes of the Trump administration satire Our Cartoon President, the team knew they had to work at speed. ftrack was there to help them keep pace with the demands of production. 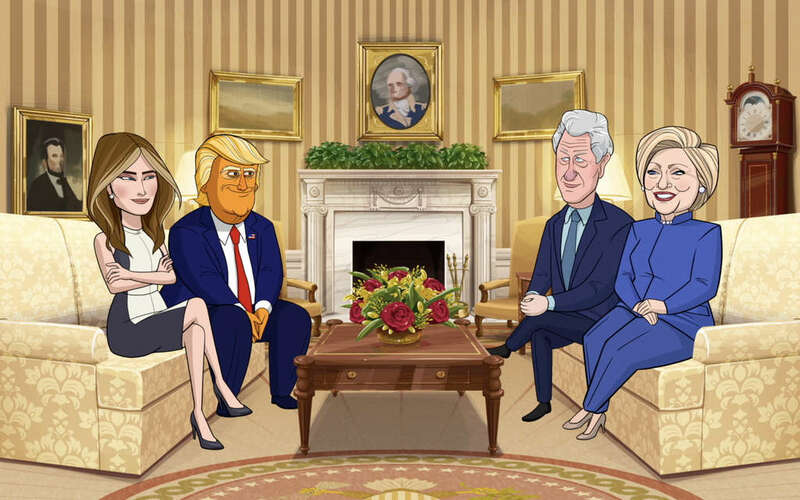 It should be of no surprise that Our Cartoon President – a satirical, voyeuristic glimpse into the presidency of Donald Trump and his two-dimensional administration – is executive produced by The Late Show’s Stephen Colbert and Chris Licht. 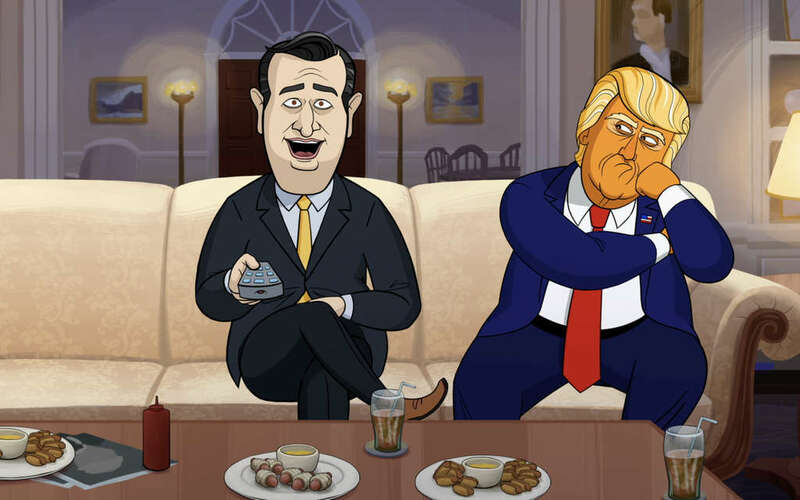 Originating from a recurring skit on The Late Show, during which Colbert would interview a live cartoon version of the then-candidate Trump, the segment’s popularity saw the concept evolve into a regular CBS Studios/Showtime series brimming with the chat show host’s cutting-edge comedy. 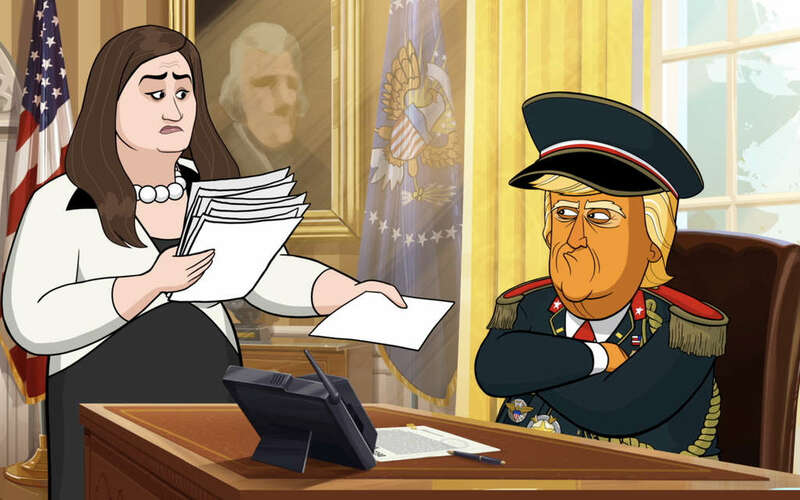 Equal parts workplace comedy, character study and political send-up, Our Cartoon President is a fast-moving, quick-witted lampoon – and one that required a similarly speedy approach to production if the narrative was to keep pace with today’s constantly changing news cycle. 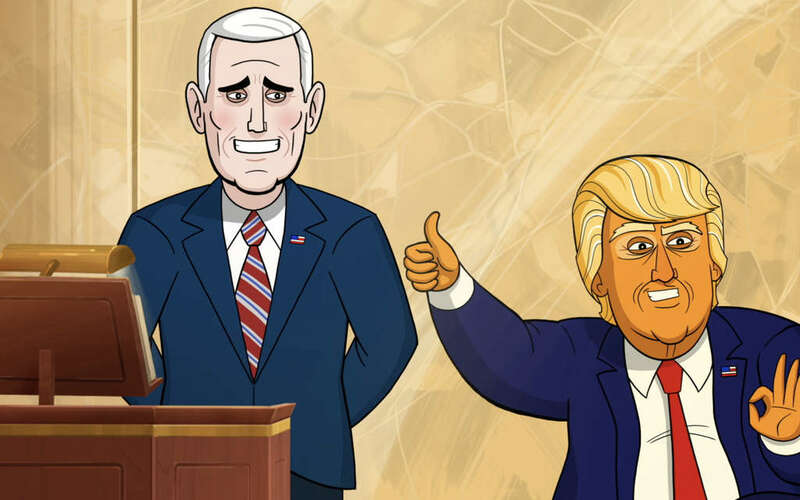 It may be an animated series, but late night talk show DNA was entwined in Our Cartoon President’s creative process. 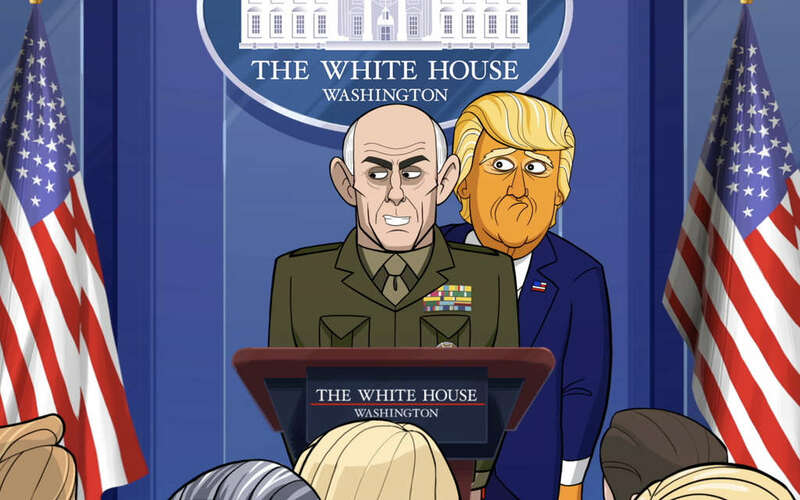 “It’s broadcast animation production at top speed,” begins Brian Maffitt, Technical Director at Our Cartoon President studio Late Night Cartoons. 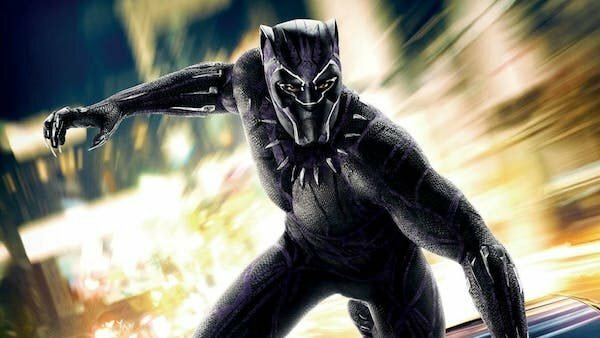 “Quick turnaround is a necessity, since we create the body of an episode in only a few weeks and the topical intro to the episode in only two or three days, and multiple episodes are in production at any given time. “It’s crucial for all of our team members to have a visual representation of the complex relationships between various assignments and their states of progress, and that’s where ftrack comes in,” he continues. 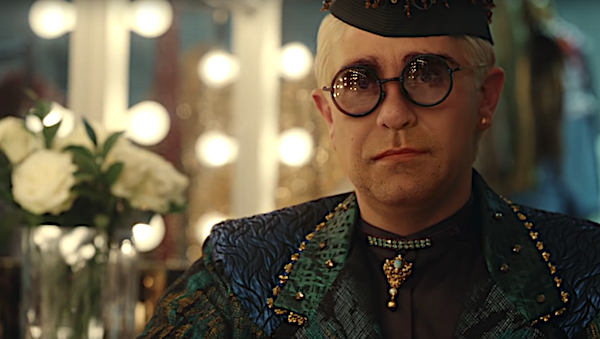 “It shows us at a glance what we need to know to move things forward and allows artists to focus on what matters most: the actual construction of the episodes. 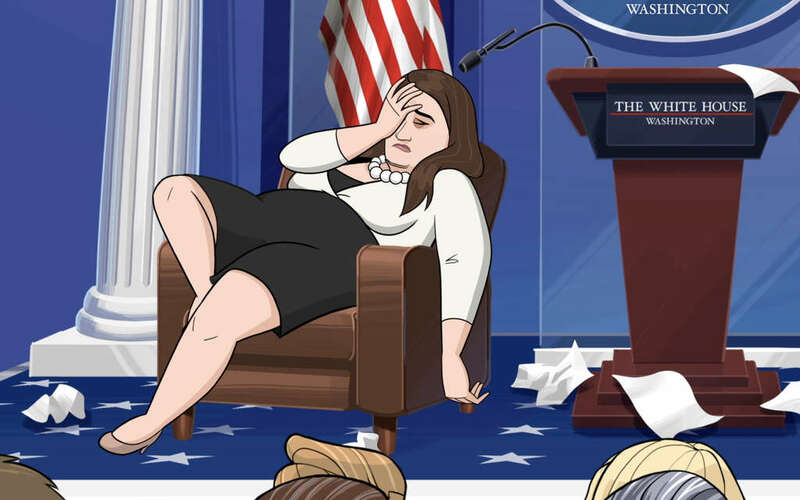 Late Night Cartoons was purpose-built by CBS Studios to deliver Our Cartoon President’s weekly animations – and the studio’s setup was an unprecedented feat. 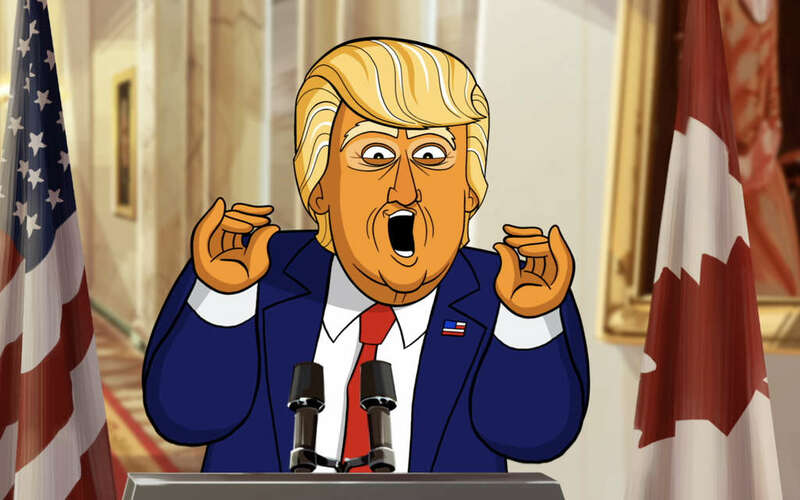 Within eight months the Our Cartoon President team had set up a full-service, self-contained animation studio in New York – complete with a recording and mixing studio – and delivered the first 10 episodes of the show. 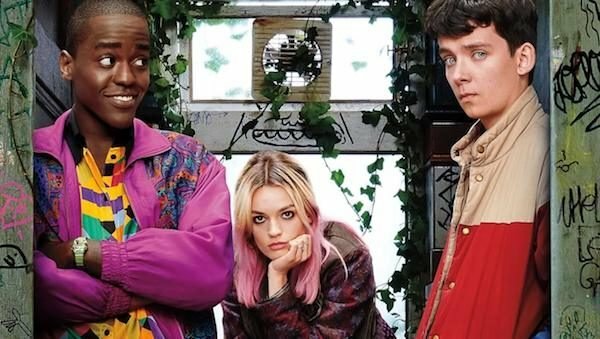 To unite quick turnaround with high-quality content, the Late Night Cartoons team needed to establish an agile, nimble pipeline tailored to accelerated episodic production. 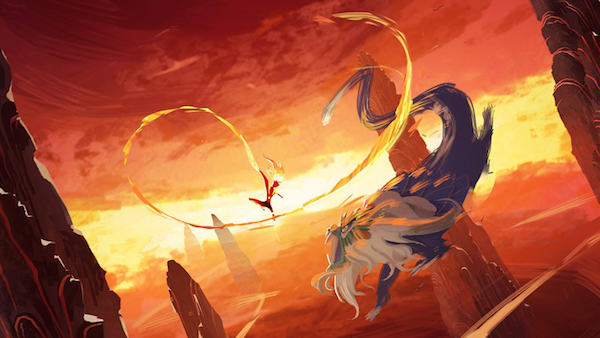 This pipeline included a raft of Adobe Creative Suite applications – such as Flash, Photoshop, Character Animator, After Effects and Premiere Pro – as well as ftrack; the tool responsible for uniting the show’s numerous creatives behind common objectives. “Before using ftrack, the Our Cartoon President pipeline was maintained using spreadsheets and Google Docs,” says Maffitt of a process that grew quickly cumbersome. 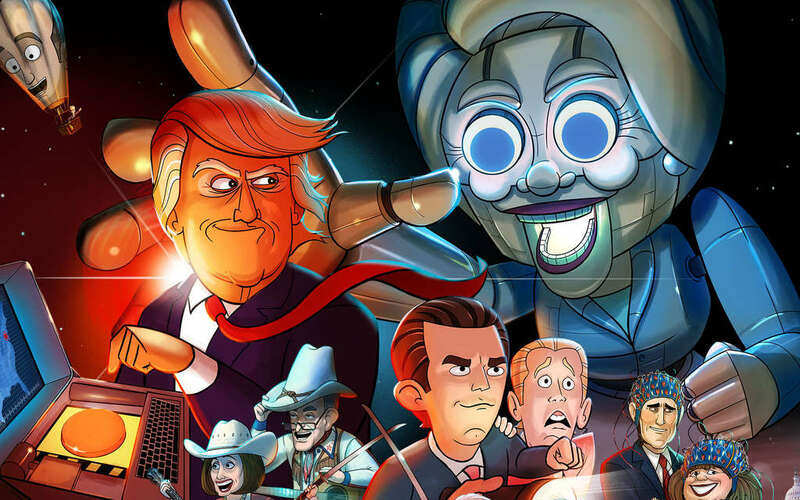 The team started looking for a production tracking solution that could simplify the demanding creative process behind Our Cartoon President. After vetting demos for a variety of production management tools, the studio selected ftrack. 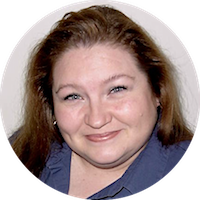 “We chose ftrack because it could keep pace with our uniquely fast production environment,” says Druanna Pegg, Digital Asset & Media Manager. 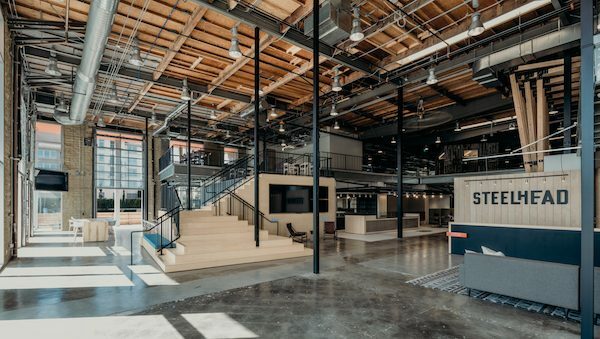 “The task tracking, reviewing process and many visual options to oversee projects from start to finish were the main selling points. 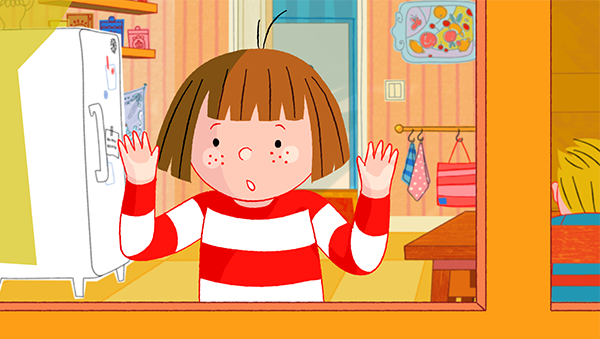 While many of the creative team had worked on successful animated shows in the past, only one producer had experience with ftrack. Nevertheless, the team quickly got to grips with the software amid the rapid production schedule. 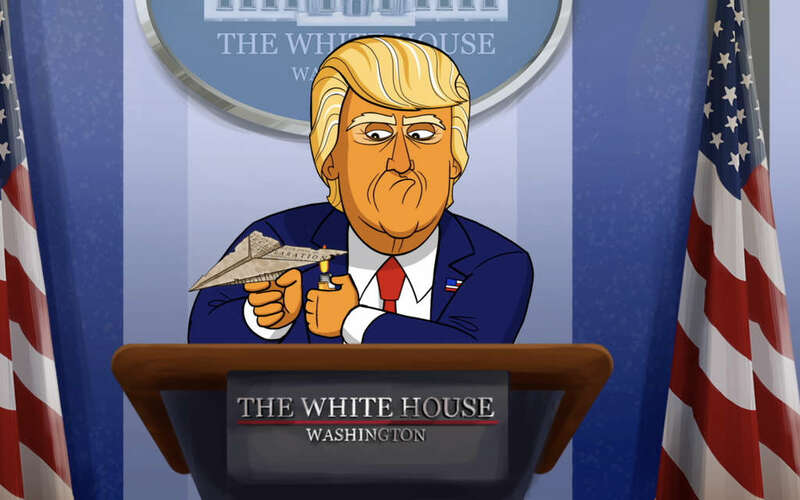 The ability to link with tasks with the Gantt tool was one such driver – and a feature that dramatically improved efficiency of production throughout Our Cartoon President’s delivery schedule. The Late Night Cartoons team also made use of dashboards to keep an eye on specific details of tasks and monitor the progress between departments. 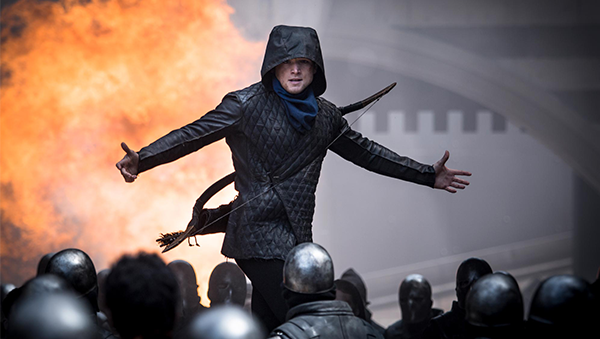 The ftrack review and approval process also enabled the team to discuss progress on the multiple episodes and promotional projects that were in development at the same time. 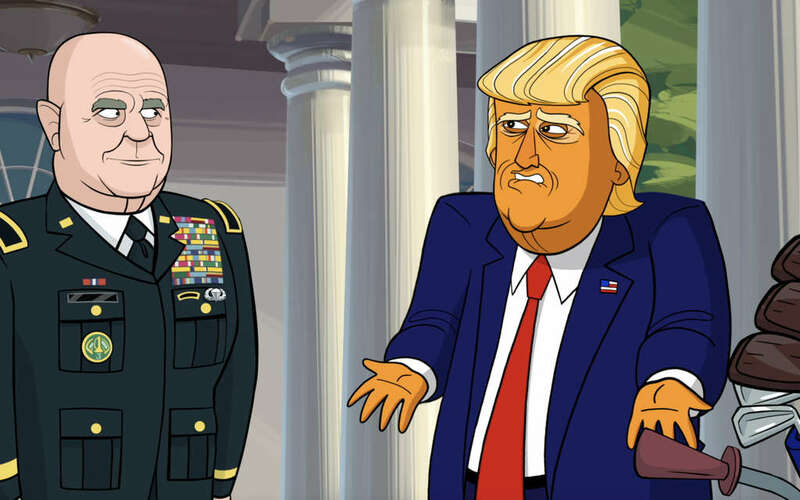 The first season of Our Cartoon President has proven hugely successful, attracting many fans and praise for its stance on politics – including some from Captain America himself, Chris Evans. Maffitt says that ftrack was key in getting the studio to this point, and predicts that production efficiency will only increase as the team gears up for a second season with the software.